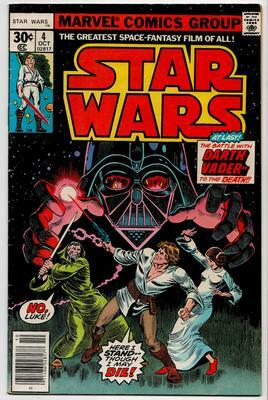 Marvel Star Wars comics Value? 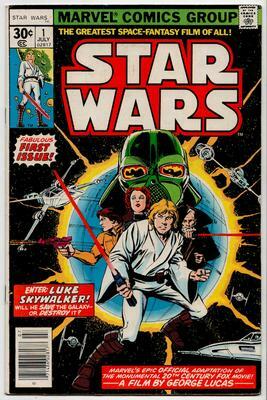 I have the complete set of Marvel Star Wars comics, including the 30c versions of the early issues. I think they're in pretty good condition and all should be in about the same condition as the sample scans that I am sending to you; they have been kept in comic sleeves since I bought them. I'm keen to sell them all as a set if possible, so that it doesn't take forever to get rid of them and so that the collection stays together. 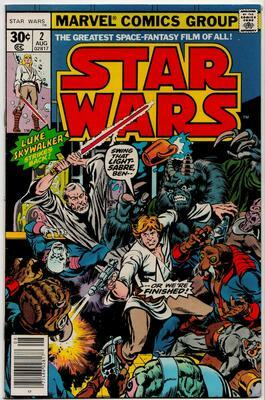 I also have a full set of all the Dark Horse SW comics up to about 2004-5 (I can confirm), which I'd also like to sell. Editor's reply: I'm not going to look at the Dark Horse; too recent for us. A complete set of the Marvels in the stated condition (looks to me like about 9.0-9.4) would cost about $1,500 to assemble by a collector today. What is their en masse resale value? Hard to say, but you will do well to get half the retail value for it. There are just too many of them on the market. That sounds harsh, but do your research. 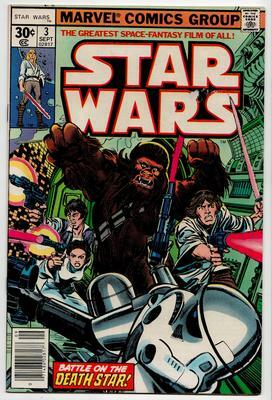 If you check out this item sold on eBay , then you'll see that $500, including all the annuals, might be the going rate for your collection. Sorry if that is not the news you were hoping to hear, but good luck selling the collection.